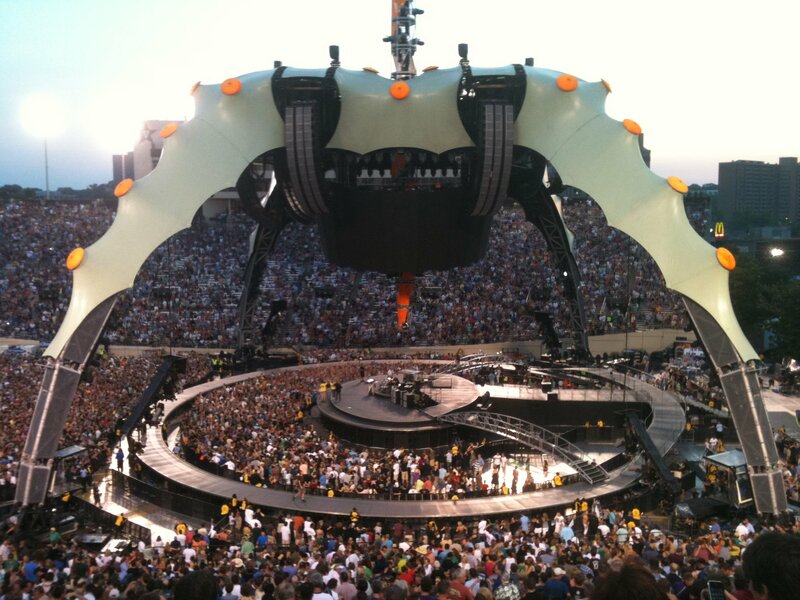 Spoiler alert: If you are going to see U2 on their 360° Tour, you might not want to read this. They were performing “Still Haven’t Found”, which was in itself an incredible moment. Then Bono whispered something to The Edge, and spontaneously broke into Johnny Cash’s song “The Wanderer,” even intoning Cash’s deep country voice! The crowd erupted in cheers. In that moment, I’ve gotta admit I cried a little. It was like he was saying, turn to the person you love and make sure they know it. Then turn to the world and love it, too. Check out the video here. My favorite “song” moments were when they (well, we) sang “Sunday Bloody Sunday” accompanied by video stills of protesters, soldiers, and oppressed people across the world, and then toward the end of the show when they finally played “With or Without You,” which is one of my favorite U2 songs. There’s just something extraordinary about a great song, a song that hits you in the soul, being sung by 45,000 people and U2. 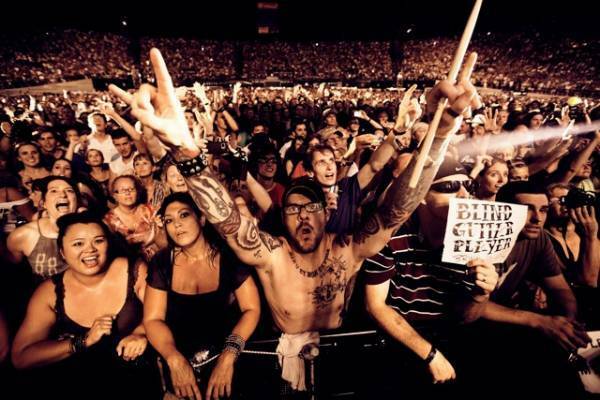 Music is a connector, a relationship builder, a means of bringing us together, coaxing a smile, reassuring us that there is still good in the world. This was definitely that kind of concert. Inspiring. The man was a blind guitar player and wanted to play “All I Want Is You” for his wife. It was incredible. 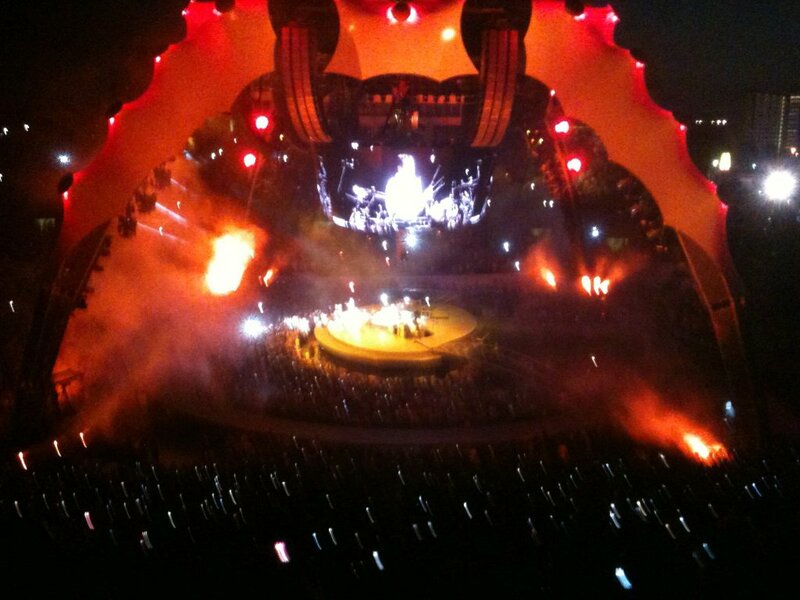 The guy got to play guitar for Bono! Afterwards, he started handing Bono’s guitar back to him, and Bono gave him his guitar! The crowd absolutely went wild. 360° of awe, hysteria, and yes, love. Front Page Story: Adam and Eve? Beautiful post! I haven’t seen them in concert, but your description gave me a feel for having been there. Wow!